Unlike information that is produced in paper format that can be gathered and destroyed through document shredding services Ireland or an in-house on site paper shredding facility, information in digital format on the internet can be far more difficult to destroy and delete. This article will go through the first half of our top tips for protecting your information online. Many people are allowing their information to be recorded without even knowing it. In order to battle this problem, it is always a good idea to configure your web browser settings to best suit your requirements. Examples would be not to use a personal email address or your real personal details that you do not wish to share. What are cookies? Well, they are small amounts of information that web sites store on your computer. In many cases they can be helpful for example, if you log into a website regularly such as a customer login to a paper shredding company website, the cookies can be usernames and passwords to save you from typing them in every time you log in to view your confidential shredding service information. Other cookies can be identified for data mining purposes that will track ALL of your activity upon a given website. Most of these cookies can only be translated by the entity that made them. Many companies that manage online advertising are simply cookie sharing rings that track all of your activity to effectively market and advertise to you. If you are not aware of the cookies, you cannot protect yourself. When you may be mailing to an unknown account or posting to forums or newsgroups it is best to do this from a second “specific” email address. Addresses posted to public spaces are at high risk of being discovered by spammers. If your email begins to get inundated with spam that you cannot just securely shred to get rid of you can kill it off and start a new specific email for your more public activities. In conjunction with the developments of the internet, new brief friendships have increased proportionally also with many people “befriending” people that they do not actually know. Be careful because you are allowing them access to certain information upon yourself and if ever meeting in person do so in a public place. Information that should not be shared with new people immediately include but are not limited to; your place of work, your full name, your personal address, your contact number and your date of birth. In the commercial sector, be aware of “befriending” on the short term as it is a common social engineering form of spying to get them to reveal personal information. 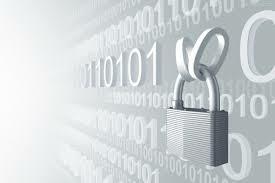 Online information and Data Protection are of serious importance and awareness is key to your protection. If you are not aware you cannot protect yourself. I hope this article helps you in becoming aware and in turn more protected. This entry was posted in Data Protection, Digital Data, Identity Theft, Off Site Shredding, Onsite Shredding and tagged confidential document shredding, Document shredding services, document shredding services Ireland, On site paper destruction, on site shredding service Ireland, onsite shredding service Ireland, Shredding documents, shredding paper Ireland by Security in Shredding. Bookmark the permalink.